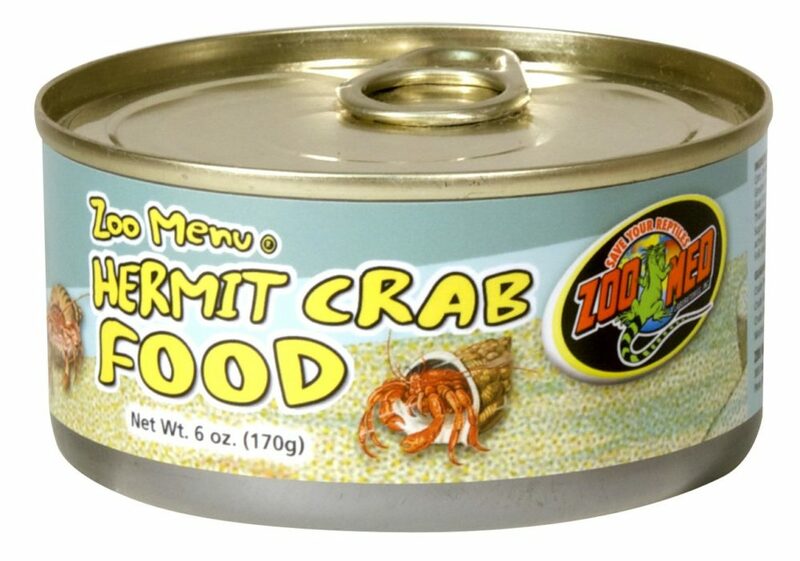 Zoo Menu® Hermit Crab Food | Zoo Med Laboratories, Inc.
High moisture content and fresh fish make this a great food for Hermit Crabs! Feeding Instructions: Feed one level teaspoon of food per Hermit Crab being fed and place crab on top of food. Remove uneaten food after 24 hours. For best results, mix this food with Zoo Med’s Hermit Crab Food pellets, and Zoo Med’s Hermit Crab Fruit Salad to provide a varied diet. Water Sufficient for Processing, Salmon Meal, Apples, Carrots, Ground Corn, Soybean Meal, Dextrose, Dried Kelp, Brewers Dried Yeast, Guar Gum, Artificial Banana Flavor, Choline Chloride, Riboflavin, Niacin, Thiamine Mononitrate, Pyridoxine Hydrochloride, Vitamin B12 Supplement, Menadione Sodium Bisulfite Complex (Source of Vitamin K activity), Calcium Carbonate, Vitamin E Supplement, Vitamin A Acetate, Folic Acid, d-Calcium Pantothenate, Vitamin D3 Supplement, Biotin.